In the heat of the summer, there is nothing more frustrating than a broken AC system! Air Conditioning systems help keep your home comfortable during Michigan’s hottest and most humid months. Pilot Mechanical is a family owned and operated business that focuses on providing friendly, reliable, and hassle-free service on every air conditioning job we perform. Air conditioners are complicated pieces of equipment that need a mixture of components to work properly. 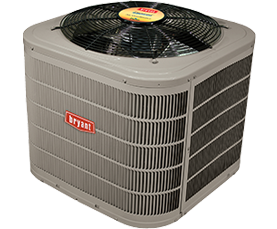 Your AC unit operates according to size in order to properly regulate the temperature in a home and needs a certain amount of refrigerant to promote airflow. It’s important to take good care of your air conditioning unit so it lasts longer, works better, and keeps energy costs down. Taking care of small repairs early can help prevent larger repairs in the future. The HVAC team at Pilot is experienced and comfortable working with all brands of units. We take pride in our ability to provide customers with the air conditioning solutions they need to make sure their homes can stay cool and comfortable during the hot and humid months. Protect your heating and air conditioning system all year ‘round - See our Annual Maintenance Package! If you’re looking for professionals to provide you with the perfect air conditioning system for your home and budget, look no further than the team at Pilot! For decades, we have been growing our knowledge and gaining adequate experience in performing professional AC installation services. The demand for advanced energy-efficient units has risen due to high energy costs. We want you to trust our team to install the perfect energy-efficient system to meet your needs so you can start saving on your energy bills right away! Contact Pilot Mechanical Heating and Cooling today for an accurate, honest estimate on any air conditioning service you need. 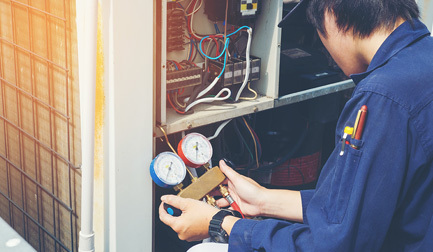 Our certified HVAC techs are prompt, professional, and dedicated to providing efficient, no-haggle AC service and repair for your home or business. We proudly serve the Rochester, Shelby Township, Macomb, Royal Oak, and Troy, Michigan areas.